There's a bold variety of fascinating Literary Festivals happening this September, and we've selected some of our favourite events. Be sure to check out each festival's full programme, though, who knows what other delights you will find?! The Chiswick Book Festival opens with this event, celebrating the life of Jane Austen 200 years after her death. Featuring Austen experts and biographers Paula Byrne and Helena Kelly, curator of Chiswick House Dr Esme Whittaker, and Sense and Sensibility actress Imogen Stubbs, this will excite existing Austen fans and attract new readers! A chance for budding poets to receive some invaluable advice from award-winning poet Karen McCarthy Woolf. Bring along a line from a poem you admire and see what poetic magic Karen can help you weave from it! 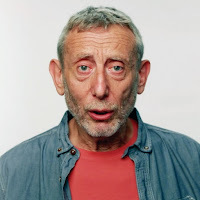 Renowned poet and former Children’s Laureate Michael Rosen closes the festival with this discussion of his new memoir. Hear the compelling life story of the legend of children’s storytelling – from a childhood in the Communist Jewish East End to a life-changing trip to East Germany. 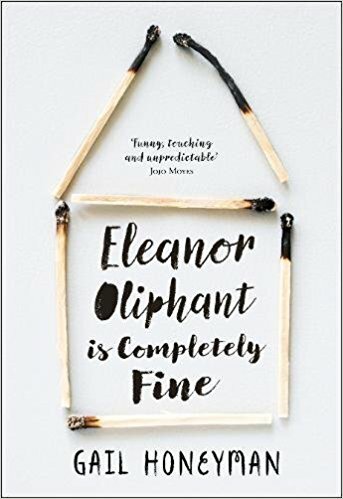 Meet award-winning author of the heart-wrenching debut, ‘Eleanor Oliphant is Completely Fine’, Gail Honeyman. This wonderful Sunday Times bestseller will make you laugh and cry. Get reading now so that you can come armed with questions for its creator! Love. It is the subject at the heart (pun intended) of all storytelling – whether it be the presence of it, the absence, the gain, or the loss. Join this eclectic panel as they discuss what love means to them, how it’s presented in their narratives, and how we can explore it in whole new ways. This promises to be a truly inspirational and powerful event as two contributors, poet and writer David Constantine and writer Kit de Waal, reflect on their stories of racial and social injustice in British protests. Their tales are inspired by true events; the Oxford march in response to Enoch Powell’s ‘Rivers of Blood’ speech and the 1964 Smethwick Campaign. Do you dabble in creative writing? Do you love BBC Radio 4’s short stories? Be sure to book yourself into a fascinating workshop run by BBC radio producer Liz Allard, teaching the necessary skills for engaging with people who listen to fiction. Liz will lead a series of workshops on creative process, supported by radio writer Alison MacLeod. Immigration and refugees are key themes running throughout this year’s Festival. Hear the stunning second volume of Refugee Tales: a personal insight of asylum, modelled on Chaucer’s The Canterbury Tales, which promises to be as insightful as the first. Retelling ‘The Mother’s Tale’ is prize-winning author Marina Warner, and re-imagining ‘The Soldier’s Tale’ is award-winning novelist Neel Mukherjee.